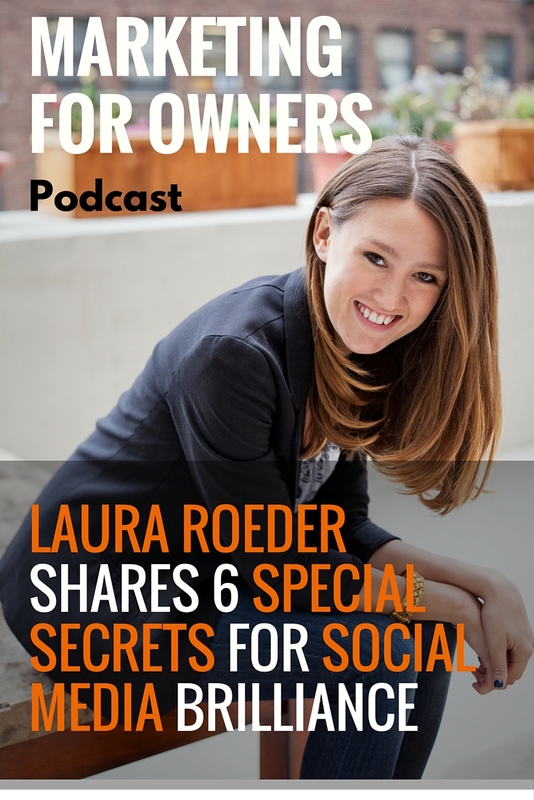 Laura Roeder may be younger than most people who are leading the way with online marketing, however, what she knows – according to Laura – isn’t really that much more than others in the online marketing world. You will know her from LKR Social Media, Social Brilliant, and as the brains behind the brilliant Edgar social media tool. Edgar came as a result of becoming frustrated with existing tools not having the features she wanted. It was then that her husband Chris made her have a new vision. 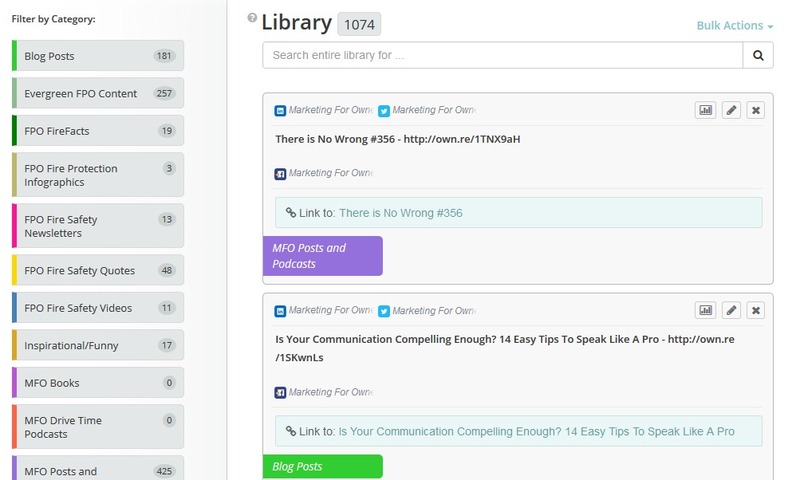 Today, that tool has over 4,000 users and brings in excess of $200,000 revenue per month. And with Social Brilliant she helps people get more leads using social media by using their time more wisely. She has done all this while traveling the world, working from anywhere and everywhere. More recently, she has had to become better at leveraging her time since having a baby. So Laura has come a long way from being a junior web designer. In fact, it was a big leap. But she’s worked with some extraordinary people and now has a wealth of knowledge to impart. And luckily for us, she’s shared the secrets to her success with us. Laura is a self-confessed natural networker. Many of us perhaps don’t find it so easy to go up and meet new people; especially those we admire. And every time you don’t, it’s a missed opportunity. When she saw Marie Forleo at a conference, she did exactly that. From there, a wonderful business relationship blossomed. 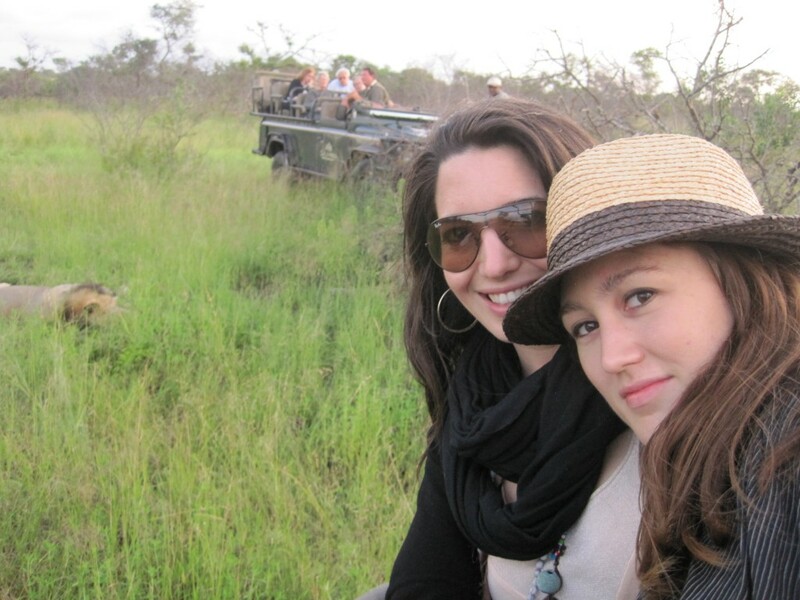 Laura ended up paying $15,000 for Marie to mentor, educate, and coach her. This was a great investment which has obviously helped her develop into the successful business woman she is. But they then went into business and they set up B School together. Although she may no longer have involvement in the business, she can still look on proud at the success she helped to create. When you do meet someone you admire at a conference or any event, make the most of the chance that is in front of you. Although they won’t mind, don’t go over to them to say how brilliant they are. You’ll probably find they already know that because everyone else tells them the same. So instead of treating them as a god walking among us, think of them as a business equal. The conversation will go a lot better. It goes both ways. And rather than you just talking about them, they get to find out more about you. And if they like the person they’re hearing about, well, the possibilities are literally endless. There are plenty of different occasions where you can meet other business people. As an example, when Laura started out, she attended the local Chamber of Commerce meetings. This gave her a place where she could meet other local business owners. Don’t be one of those people who puts it off because they’re busy complaining that the big names all have massive lists. Just remember, that these lists are not ready-made. Everyone on Facebook and Twitter starts off at zero. Yes, when Laura was starting to promote Edgar, she had her list to utilize, but it had to come from somewhere first. And that somewhere was her spending years building it up by herself. First of all, she started out on Twitter. She chose that platform because it enabled her to interact with people on a 1 to 1 basis. And this is essential. Just like she did with Edgar, you start off by building an influencer list. This contains people who are at the top of their industry or niche. And this should be in areas where people may have an interest in your product or service. It’s important to then interact with those people. You follow, interact, and build up a rapport with them. She then focused her efforts on one social network, before moving on. And you need to do exactly the same. Once you have a following in one place, they will then help you expand into more areas. It’s important that you remember you don’t have to be everywhere instantly. You can’t just sprout up everywhere overnight and expect everyone to suddenly join you. It’s a lot harder than that. But you don’t necessarily have to start out on Twitter like Laura. It was the right strategy for her and Edgar, but it may not be for you. It’s possible that LinkedIn might be more appropriate because your primary focus is with businesses. And as such, you need to know where you’re going to have more luck finding your audience. Most marketing strategies focus on publishing brand new content. Each and every Tweet and Facebook post is unique to give the illusion that someone is actually sitting there, typing the message. Even though everyone knows they scheduled it weeks ago. But it isn’t bad to go back and recycle content. If a particular post was highly successful, why should you go back to it and extract its success again? Even though there will be those who would have seen it before, it may not have had an impact the first time because they weren’t in the mood. But if someone didn’t go online that day you posted it, or they only recently started following you, it is new to them. And why should they miss out? Plus it helps to keep traffic going back to that blog post you’re really proud of. Edgar creates a library of posts. And it will automatically cycle through and post them for you. And if you’re thinking to yourself “Well, isn’t that just taking the ‘social’ out of ‘social media’”, then you’d be mistaken. It is, in fact, the opposite. You no longer have to get hung up on having nothing to post. And you don’t need to waste time trying to come up with new content. Instead, it leaves you with more time to focus on being social and building relationships through engagement. Plus it allows you to reuse seasonal promotions. Every Valentine’s Day or Christmas, you can just run the same sequence of marketing posts as last year. The one-time effort will drive sales for years to come if you let it. After all, we’re okay repeating emails. So why not social media adverts? But with this new-found free time you’ll find using Edgar to manage your social media, make sure you use it wisely. Laura sees that people are wasting their time creating live videos using tools such as Periscope. Nobody really cares about them. And being a broadcaster takes a lot of time and commitment. It’s important that you remember that your time is precious, so it needs spending wisely. You have to put a lot of time, and even more effort, into finding success on Periscope. And you can find that your stream gets deleted 24 hours later anyway. With a YouTube video, it will still be there in years to come. And it will still inform people about you and give them new knowledge. You may find the videos cringe worthy in years to come, but they’ll still be working hard for you. And it could potentially bring in a lot of custom for that one-time effort. But the goes for Instagram too. You may find that your business just has to be on Instagram because you’re selling a fashion product. Undoubtedly, you need to be there. Otherwise, the inability to post links could hurt you. When someone see’s one of your posts, there isn’t the ability to ask them to buy. You can’t direct them to your products to buy. It’s just content and you’re not reaping the rewards you deserve. So it may not be worth your time. With blogging, however, you can instantly send them wherever you want with a hyperlink. 6. And The Most Powerful Tool You Have At Your Disposal? Blogging is the best tool at your disposal. Laura uses her blog to teach on a wide range of relevant subjects. She teaches from her own experiences. And it proves that what she has to say, actually works. And she has monitored and understood their success and impact. She finds that posts about social media don’t instantly drive sales, but their shelf life is long. Whereas an inspirational post about being an entrepreneur will get instant shares, but not live for so long. And with that level of understanding, she can manipulate her posts to achieve exactly what she wants. So try to get a similar level of understanding about your own blog and posts. But because your time is valuable, don’t spend it all writing endless posts. It’s very easy to get lost in the content which others are posting. The only way you’ll stand out is by making quality posts. And that is going to take time. But making one as well as possible still takes less time than endlessly churning them out. When it’s good, people will find it. And then they’ll want to keep coming back to see what else you’re doing. And that’s when you try to get them onto a list. Somewhere you can contact them to update them about products and give them more, free, information. This is a mistake many people make; particularly when selling a software product. They focus on getting visitors to buy a product or accept a free trial. But if the person isn’t ready to buy at that moment in time, which they’re often not, you have no way of getting back to them. Unless you’ve got them to follow you on Twitter or to join your email subscribers lists anyway. So go and try out Meet Edgar. Find out how using this tool will have a positive impact on your business. Use your time on social media more wisely, and automate the day-to-day posts so you have more time to be social. 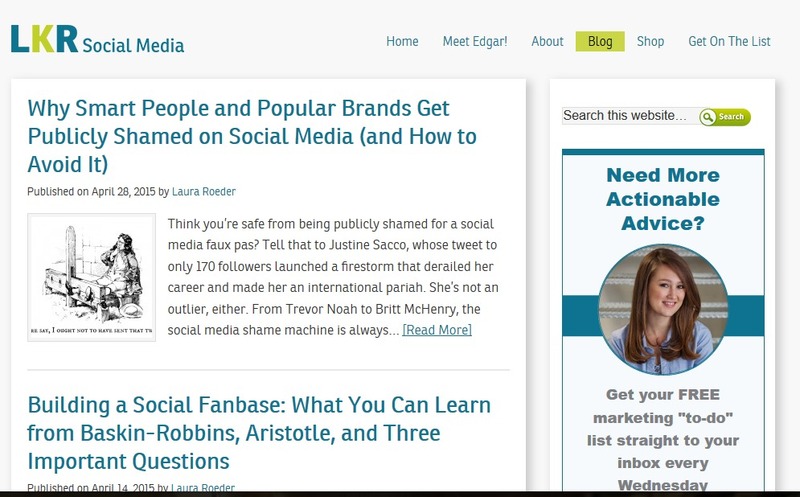 Let Laura help you to be Social Brilliant. Spend your time on social media doing the right things, and focus on achieving more leads from your online profiles. 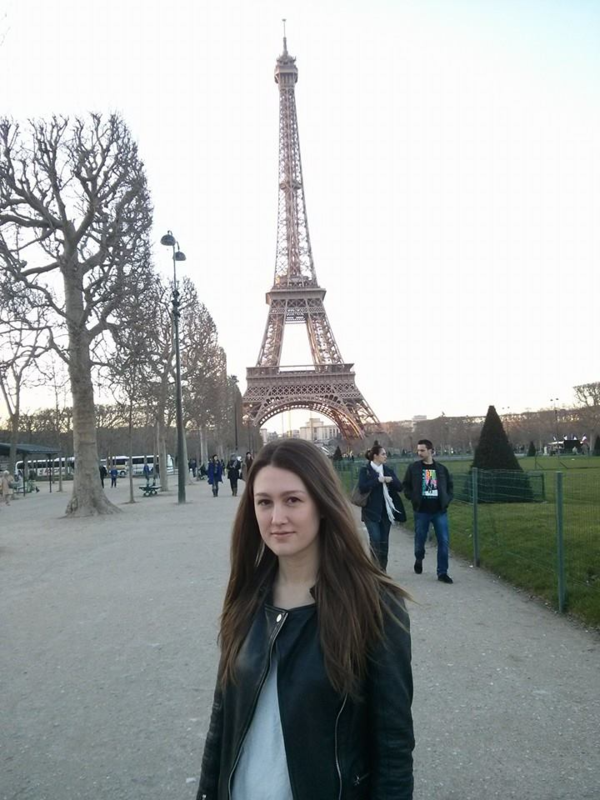 And if you want to find out more about Laura, you can visit LKR Social. From there, you can also sign up for her email list and read all the blogs she has put online for your benefit.